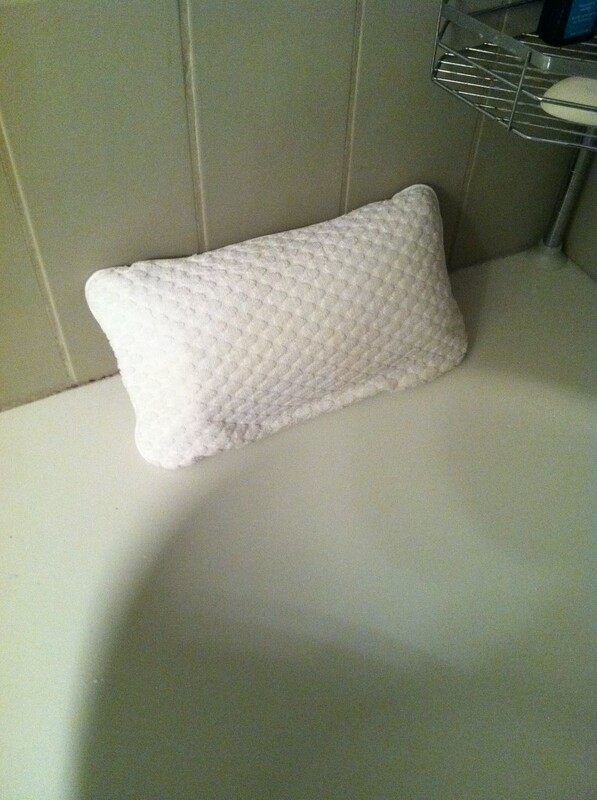 Courtney had been searching endlessly for a decent bath pillow for several months with no success. So I decided to make it my goal to find one for her birthday this past November. After looking everywhere I finally found my treasure on Amazon.com, along with some sea salts, and bubbles! She could finally take the bath of her dreams! I felt like Indiana Jones, in Raiders of the Lost Ark, when he won back the Ark and saved humanity. The plan was to put the pillow in the tub the night before, and display the other fancy stuff along the edge. She would enter the bathroom the next morning to take a shower, light would shine down, angels would sing, and Courtney would cry tears of pure delight (at least that’s how it played out in my head). The few days passed, once again, so I contacted Organize.com to inform them of the problem. An apologetic reply came one week after the big day. I was crushed. They had played with my heart strings and shattered my dreams, but I still wanted the damn pillow. Two long months had passed (yes, I said 2 months) and it finally arrived! WTF! Are those BED RISERS?!? I ordered a freakin BATH PILLOW! After months of being on an emotional roller-coaster ride, organize.com delivered the final blow. I had no words. If all of this was just a game, then they had won. Well played dream crushers. Well played. Not to worry, we did eventually find another bath pillow. It wasn’t as exciting as I had pictured, but Courtney was happy and that’s all that matters. This entry was posted on Wednesday, January 25th, 2012 at 11:42 am	and posted in Life. You can follow any responses to this entry through the RSS 2.0 feed. Bwah ha ha ha ha ha. 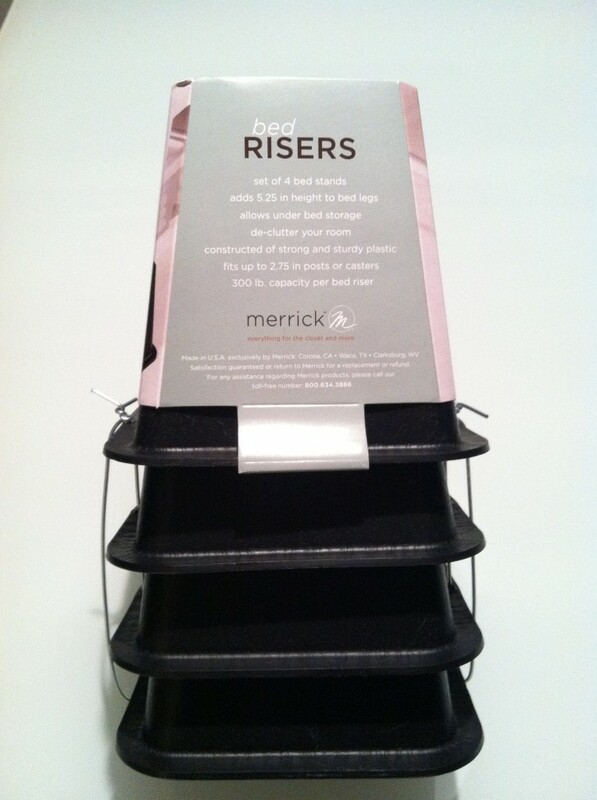 So what happened to the bed risers? Did you keep them? Or perch them on the side of the tub for Courtney on her birthday? Wait… What exactly was the photo on Amazon’s site? You need to screenshot that page so we can compare what you received to what you thought you ordered. Also – what did you do to replicate the angels singing effect? Actually, scratch that. How did you get sun to shine in Seattle? “You need to screenshot that page so we can compare what you received to what you thought you ordered.” – Consider it done! “How did you get sun to shine in Seattle?” Good question. I used a lightweight military-grade 1750 LM Compact HID Flashlight…what else? I always shop on amazon becuase they’re such a serious site, especially with things like these. My Kindle broke (and it was my fault), but since it was under warranty they changed it for free, and even reimbursed my intercontinental shipping expenses (I almost wrote sheeping expenses!!!). Be sure to give these people the review they deserve on amazon, so others don’t buy from them, but I think that if you also contact amazon customer service and tell them what happened, they will discontinue working with organize.com.